Making lists may seem both unmature and a little obsessive. But, it has its merits. 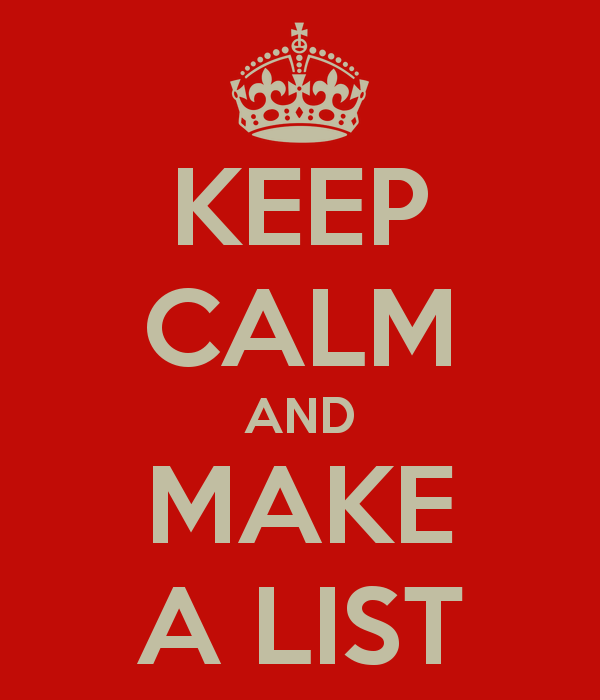 First, making lists is consumer guidance in its simpliest form. If you have some credibility (I shamelessly count myself in here) in the community your lists will be helpful for others with the same musical taste. I have also encountered one or two listmakers that really knows what they are doing. Second, it will harden you as a person. There will be hard but necesseray decisions to make. You have to ask yourself the delicate question if certain well-known and critically-acclaimed albums really are that good or are you just following others? The fact that many people like the albums doesn't define its quality. You have to trust yourself and your gut feeling. But you also need to have an open mind since some music tend to grow on you. Third, its instructive to focus, analyze and sort and hereby separate the wheat from the chaff. People around me (who are not dedicated to music listening) often ask me why. My answer: beacause I can. Fourth, it's very fun to make lists. My friends and I (who in other contexts are regarded as sensible and well-respected citizens) engage ourselves in making all sorts music list on another website when we have time. Not only is it fun to make the actual lists, but also to loudly criticize them in a very unconstructive manner. Initially, I had high ambitions for the this department both in terms of content and appearance. But after debating myself, I decided to use standard lists for the four categories (artists, albums, songs and miscellaneous). Working with lists is a low-intensity activity where you can make a tentative list, revise it, let it mature, revise it agin, make a new assessment, revise it again until there's nothing left to do with it. Therefore, it's ready when it's ready and not before. My ambition is to contribute with a list every now and then, whenever that may be.